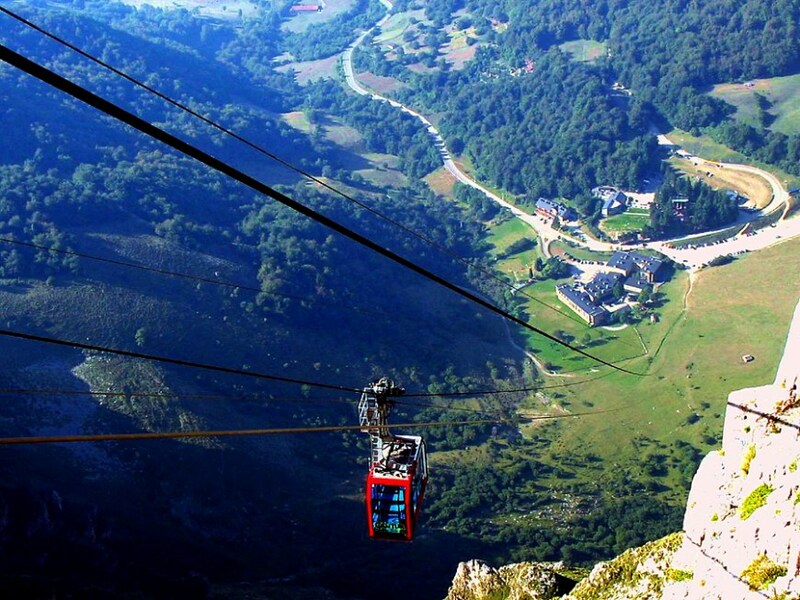 In the extreme south east of the National Park Picos de Europa, you will find the Fuente Dé Cable car. This must- see tourist attraction is only 20 minutes from our guest house. Riding the cable car is a wonderful experience. The cable car rises rapidly 750 metres and arrives at the upper station, better known as The Cable at an altitude of 1850 metres. The panoramic views of the nearby peaks are spectacular. A world apart!. The spectacular views from the terrace cafe or the many routes through the Picos National Park can be enjoyed throughout the year however the best times to visit is sunrise for the spectacular cloud formation and dusk for the unforgettable sunsets. Do not forget that at this altitude the weather can change abruptly. Should you need further information, please phone the Cable Car 942 736 610.